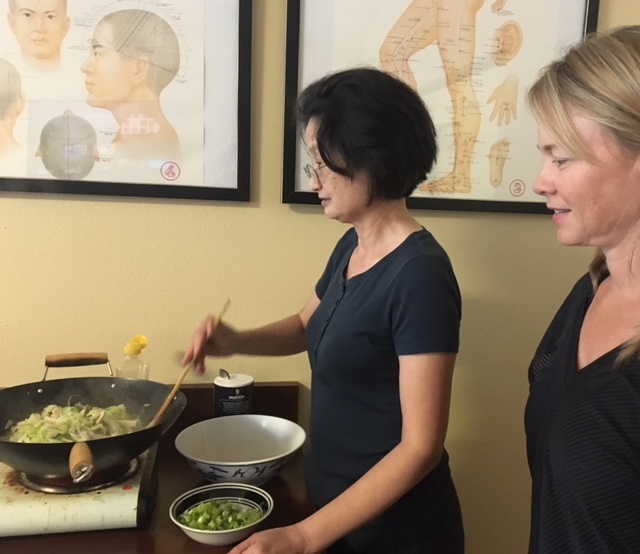 Recently, I had the opportunity to attend a cooking and nutrition class with Dr. Yuan Wang, author of “Ancient Wisdom, Modern Kitchen”, where we focused on the topic of lipid health and the rising concern of high-cholesterol. I could go on and on about the educational value of this class, and may do so in another future blog, but the number one thing I wanted to share with you is this delicious that we cooked up that contains a special blend of ingredients that help to support healthy cholesterol and lipid levels in the body. 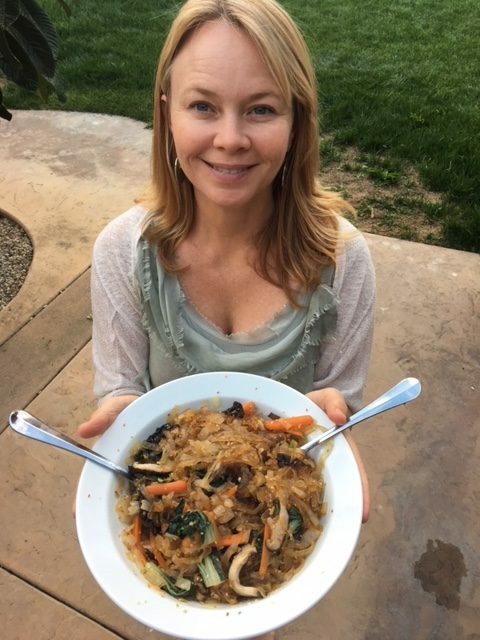 I hope you’ll enjoy cooking and eating this recipe as much as I did! 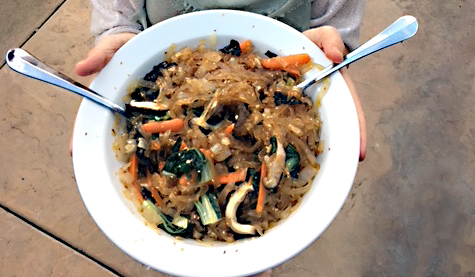 This delicious stir-fry combines the benefits of mushrooms, wood ears, greens, and herbs. Serve with rice. 1. 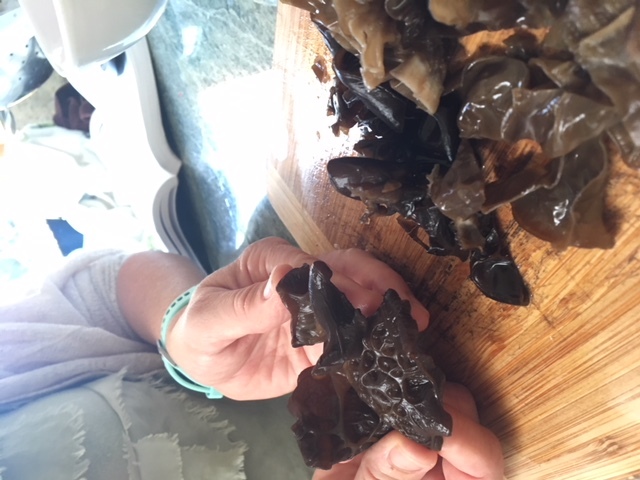 Place the dried wood ear in a bowl of warm water with the salt and soak for about 30 minutes, or until soft (it will expand to two to five times its original size). 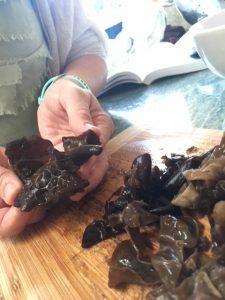 If you are using dried shiitake mushrooms, soak them with the wood ear; if you are using fresh shiitakes, simply rinse them. 2. Cut the wood ear and shiitakes into 1⁄4-inch pieces, discarding the fibrous base from the wood ear and, if desired, the stem from the shiitake. 3. Heat the sesame oil in a wok or sauté pan over medium-high heat. 4. Add the ginger, garlic, and green onions, and stir-fry for a few seconds, until fragrant. 5. Add the white stalks of the bok choy and stir-fry for 1 minute, stirring frequently. 6. 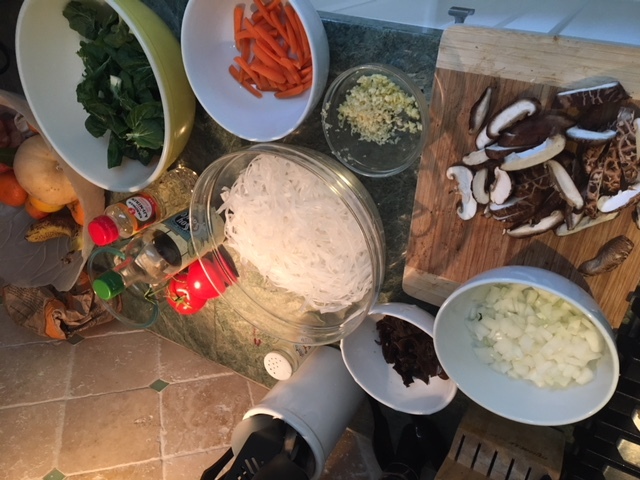 Add the wood ear, shiitake mushrooms and leafy part of the bok choy and stir-fry for about 3 minutes, stirring frequently. 7. Cover, lower the heat and simmer for another 3 minutes, or until the vegetables are done. 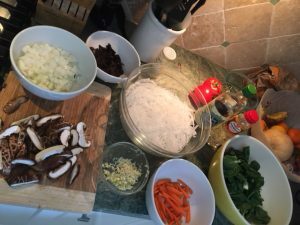 Stir in the soy sauce. 8. Mix the kudzu with about 2 tablespoons of cold water and stir out the lumps, then add the mixture to the wok. Cook for a minute, stirring, to mix the flavors together and set the thickener, then serve warm. From Ancient Wisdom, Modern Kitchen by Yuan Wang, Warren Sheir and Mika Ono. Excerpted by arrangement with Da Capo Lifelong, a member of the Perseus Books Group. Copyright © 2010. 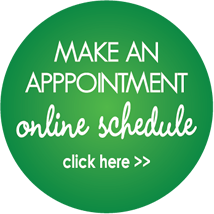 Website Design: Ginger Hill Marketing & Design Co.